I'm such a sucker for Blocks of the Month I tell myself, "It's only ONE block, you can do that!" 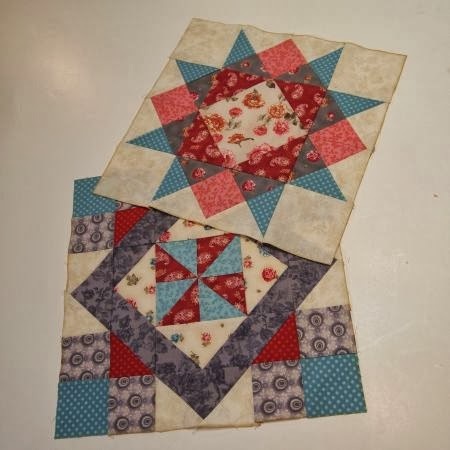 Then I wind up with eight sets of blocks and no quilts. And another seven BOMs for the new year! I will say my "BOM Board" helps keep me motivated to finish each block every month. I love making that check mark! Last week, I posted a photo of my "BOMs Away!" board on Facebook with the bottom line empty. A Scrap Squad buddy teased me that I had room for one more BOM -- so I added "Hats for Sailors." Now when I'm tempted to take up yet another Block of the Month program, I can remind myself "there is no room for it on the board!" The only carryover program from last year is Jackie Robinson's "3D Sampler." It's an incredible program, and Jackie's directions are excellent. But each little block finishes at 4", so the pieces are tiny tiny tiny! This is the third "Patchwork Party" program I've joined. This year, all the pieces are laser cut. So the blocks go together in minutes! 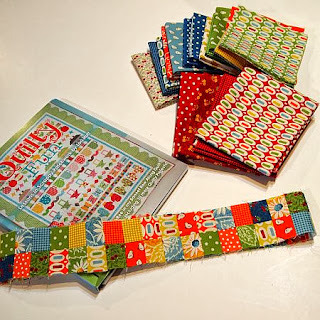 Sonya at Ruth's Stitchery is hosting a "First Thursday" mystery this year. It's one of those "if you finish your blocks and bring them back, the next month is free" programs. So it's important that one remembers why she went into the shop on the First Thursday and doesn't wander around then leave without picking up the next month's block. Ahem. 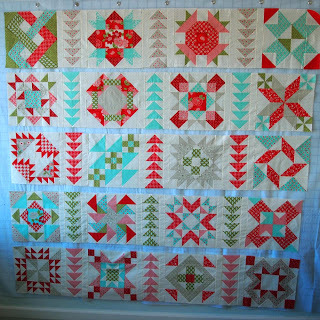 The Wednesday morning block party at Ruth's is working on this Stephanie Prescott design in 2014. 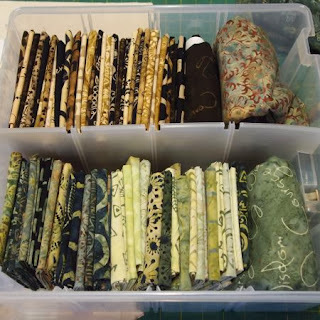 Anna Marie at Quilter's Stash in Windsor made their sample and reports the biggest challenge is deciding what fabrics go where. My biggest challenge was deciding which colorway to use. So I bought them both -- decisions are so overrated! The Wednesday evening group is using Marti Michell's newest set of templates and her book "5 is Fabulous." But I fell in love with her new fabric line and the quilt made with it: "Bordered Rows." Aren't I lucky that our neighboring shop down the road in Pueblo, Stitcher's Garden, is hosting it as a BOM? 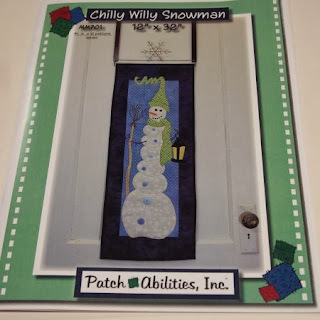 I already have another of PatchAbilities' mini quilt programs in progress, but couldn't (or didn't!) resist their new one. The quilts finish at 12" X 32" and are perfect as door hangers. Each month's kit includes a metal door hanger "topper." 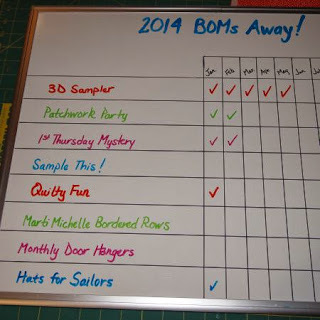 I read on another blogger's post today that she is including a tab for BOMs at the top of the page. What a good idea! Now you can watch my progress each month -- and I hope, cheer me on! I have my first BOM UFO quilt from last year put together except the last border. It will be Friday's "TGIFF" post. You can do it (it really is only one block pr month ....x8)!!!!!!!! 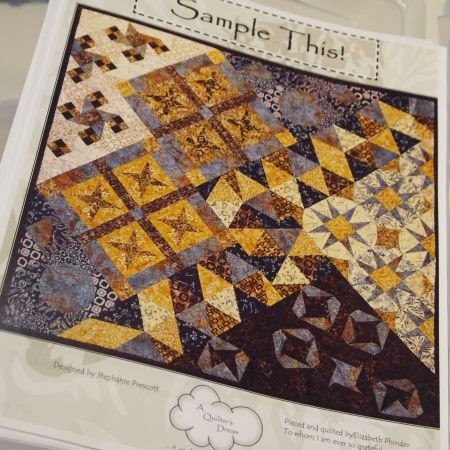 Love your soon to be TGIFF quilt - it is lovely! That board is a fantastic idea!! Thank you for the motivation. 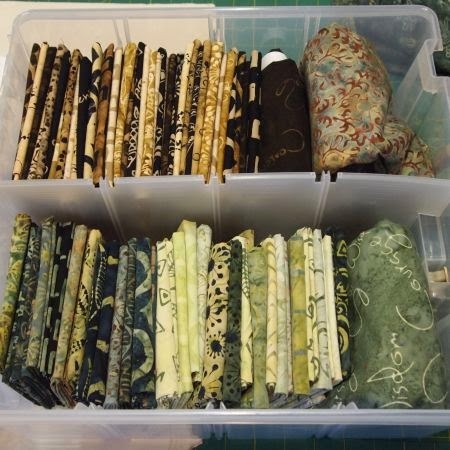 I also liked some of your fabric storage ideas. I am too overwhelmed to speak! well not really but OMGosh - that will certainly keep you busy. I am not sure I could pick a favourite....And all that on top of finishing at least one other project a month . . .
Phew! I feel weary just reading about your productivity! I think your board is a great idea. Okay, might be time for an intervention young lady! 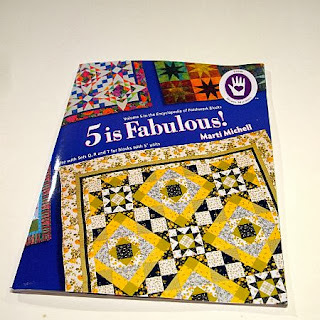 Step away from the quilt shops and keep on walking! How fun! 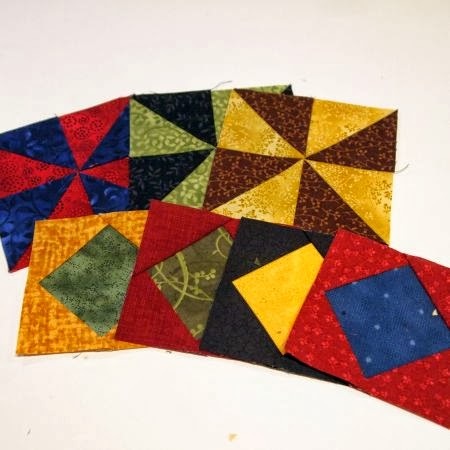 I can't wait to see all of the wonderful quilts you will have at the end of the year. You will be very busy... as usual! 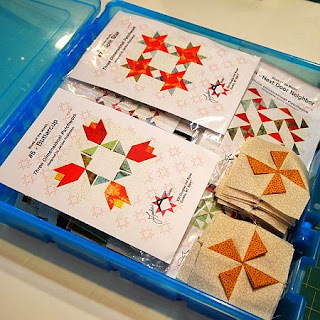 Thanks for linking up to the Let's Bee Social linky party at Sew Fresh Quilts! Sounds like a lot of fun...to for it! Sounds like you have a plan! Love your UFO:) I like BOM's too, but it is hard to get that top finished. I am a sucker for the free BOMs! I am pretty good at keeping up, but I can't imagine 8 blocks at one time. I am visiting from Let's Bee Social. 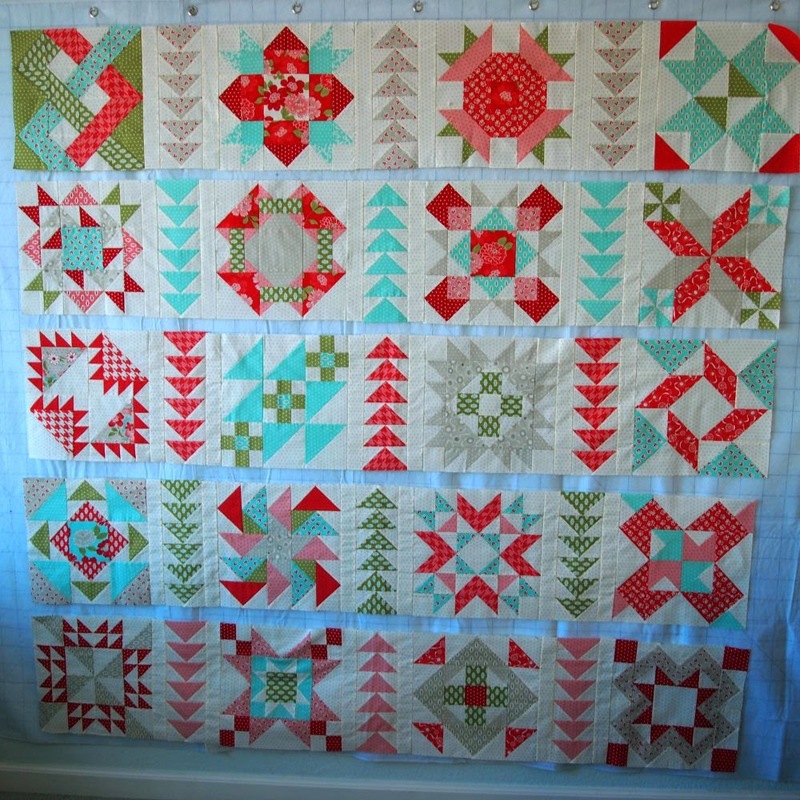 Beautiful set of quilts! The finished top is lovely! Great BOM's. Love your board idea.